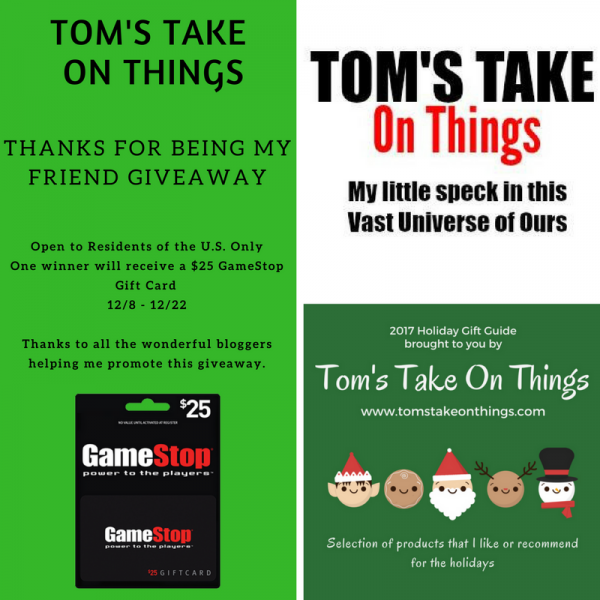 Tom from Tom's Take On Things just wants to be generous and host a giveaway for all of you to have a chance to win a gift card in the upcoming Holiday Season. So who is your best friend? All we want to know is what you are buying your best friend for Christmas or the Holiday? In the meantime, you have a chance to win this $25 GameStop Gift Card that you could end up giving to your best friend. If not, keep it for yourself and buy you something you want for Christmas. It's ok, we don't judge! 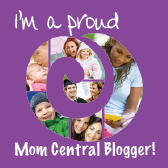 Blogs helping promote this giveaway were not compensated for this post. Be sure to come back daily for extra entries to win this great prize! Good Luck! I will buy them a game from Gamestop! I plan on sending her an edible arrangement gift basket! She loves those! I p,an to buy my best friend something funny. She loves that. 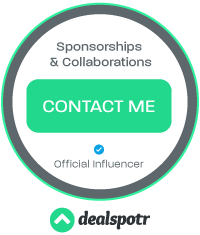 I gave the girls eye shimmers and lip glosses, subway cards, and I sent out amazon gift cards. I got James headphones. A whole lot of Chocolate! We are not exchanging gifts with friends. I have already purchased my best friend's gift and it's being shipped now. I purchased her a personalized monthly calendar. Thanks. I'll buy art supplies....she can't ever have enough of them. Something with supermario or minecraft. I bought her some bath products and chocolate. I plan to purchase my best friend a drone. He has been asking for. A videogame he always wanted! I am buying my best friend star wars paraphernalia. She loves Star wars! A few new Xbox games.. I plan on buying my best friend this purse and wallet set she wanted for months. I bought my best friend a necklace. my best friend is my husband, i plan on getting him a new shirt for christmas. Making a chocoholics extreme gift basket with 12 different types and goodies. I plan on buying her some chocolates.